Directed by Mrs. Saroj Rach and organized by (Reg) Gujarati Seniors Samaj of Mississauga. 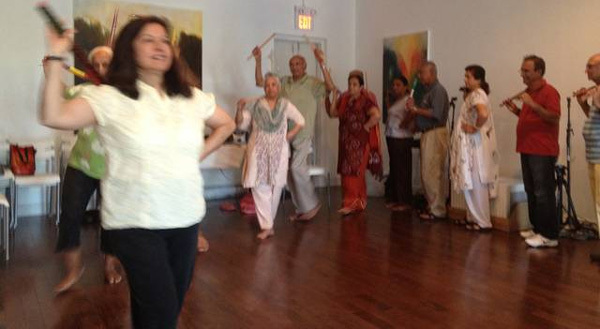 This event will see seniors of the community come together to perform a traditional Raas dance from India. This particular dance that hails from Gujrat Province is much loved community spectacle and a dance where every one joins in. We acknowledge support from Manjula and Ramnik Rach for this presentation. Directed by Mrs.Saroj Rach this performance is a recall of spirited glory of cultural fanfare and celebration. Rahul Sathu is a young versatile singer. Born into a family of musicians, he started singing at the age of 6and later gained recognition by participating in many singing competitions in schools. Rahul is learning Carnatic Classical, Western Classical and Hindustani Classical . Rahul also plays instruments like keyboard and Guitar. Lead by local Punjabi media figure and singer Raj Ghuman, this 6 peice Lady Sangeet group is making all celebration memorable ones. Performing all over North America for over 17 years, this singing group brings vibrant festivities to any event. Dressed in Traditional clothes, the group performs typical dances and musicl Ghorhi’s (for Groom’s) Suhaag’s (for Bride’s), followed by playful folk songs accompanied with the dhol, and finally boliyan that are sure to get everyone up and dancing the night away. 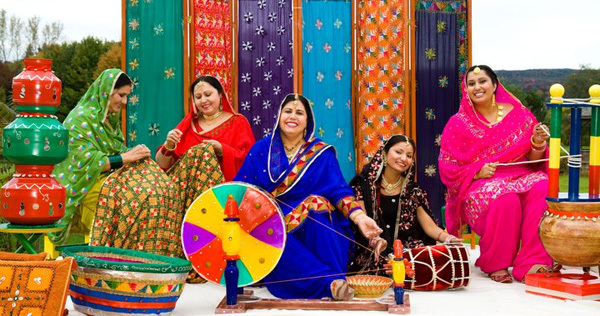 The group will perform on a set resembling a traditional Punjabi home with a spinning wheel (charka), stools (peeriyan),benches (manjey), and backdrops made from fulkariyan or hand embroideries. Fulkari promises to bring you a complete experience of Punjab in the middle of Mississauga! Youth Troopers for Global Awareness (YTGA) is a youth led non-profit mobilizing and empowering young people for social justice through workshops, campaigns and the arts. These young advocates address domestic and international social issues through creative writing, visual arts, theatre and spoken word. 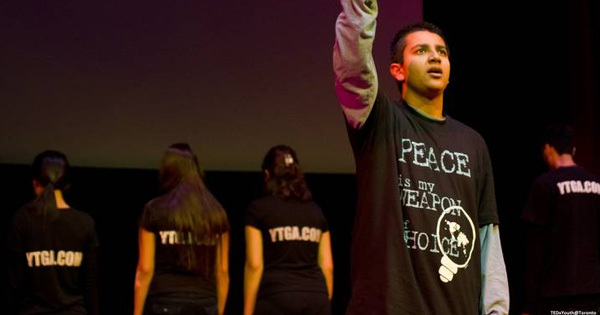 Since its birth in 2006, YTGA has performed for themes such as Child Abuse Awareness, Modern Day Slavery, The Power of One, Mental Health Awareness, Racism and Immigration, Youth Suicide Prevention and many many more. The youth team regularly conduct Empowerment Through the Arts workshops with groups as small as 5 and as large as 100! Currently YTGA youth are in the midst of establishing Studio 89, their social enterprise in Mississauga, a part fair trade cafe and part youth art academic resource centre. Please visit ytga.com for more information. The Mississauga Chinese Arts Organization (MCAO), established in 2005, is a not-for-profit Chinese performing arts organization (www.mcao.ca). MCAO is mainly sponsored by the Culture Division of the City of Mississauga. MCAO is mandated to produce and present a full spectrum of Chinese performing arts for the community of Mississauga. MCAO also provides opportunities for its members to practice and develop their artistic skills through various training and performing programs. 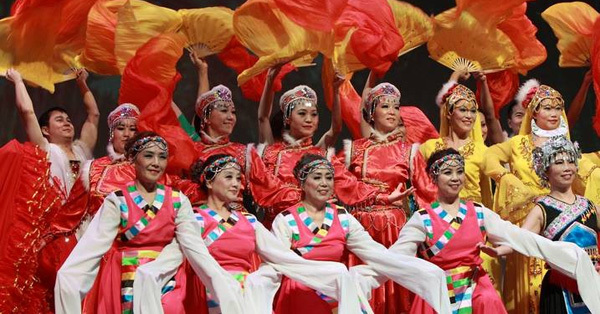 Their programs include different types of traditional Chinese folk dances, opera, choir, duets, folk songs, music instruments, martial arts, and waist drum. Over the past seven years, MCAO has witnessed an incredible growth in reputation within the city of Mississauga and in the GTA. MCAO has been invited by various groups to join them for cultural and event celebrations. In order to contribute to the multi-culture society, MCAO has participated in every major cultural activities and significant city events in Mississauga, and performance at Mosaic festival is an effort to increase that involvement. They also perform for schools and senior homes to introduce Chinese performing arts to students and seniors, bringing joy to their life. Each year MCAO has performed to the community about 20 to 30 times and each time draws large audiences and crowds which provide extremely good feedback. MCAO has not only steadily improved its artistic performance, but has also grown as an arts organization with strong management and organization skills contributed from its members. Since May 2010, MCAO has independently hosted three significant cultural events: Whispers of Spring and two Chinese New Year Galas that were held in the grand Hammerson Hall of Living Arts Centre. The success of this cultural event has been widely publicized through newspapers reports and TV interviews, and has been well received by the general public and their sponsors.